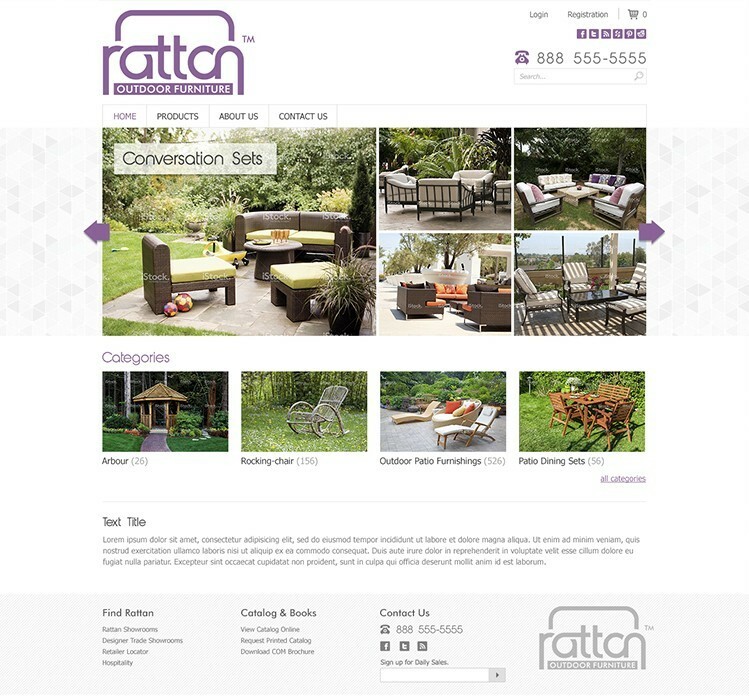 Rattan Outdoor Furniture is an example of clear and really user-friendly design of an e-commerce site. Our designers were happy to use professional pictures of nice furniture. All elements are thought over and have their own places; our goal was to make them harmonize with each other. 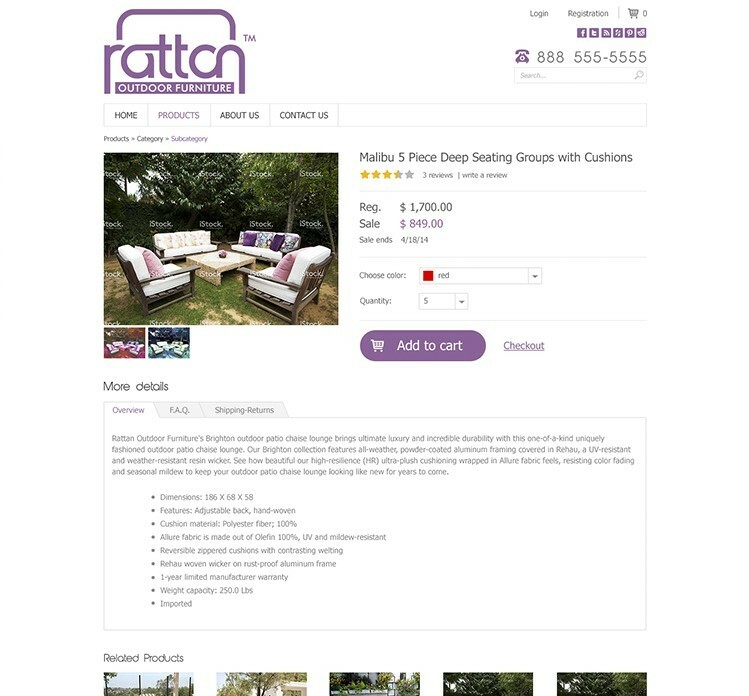 Rattan Outdoor Furniture may be an example of design with many details which do not clutter pages, but make this site interesting. * The logotype and corporate identity belong to an owner of the company.